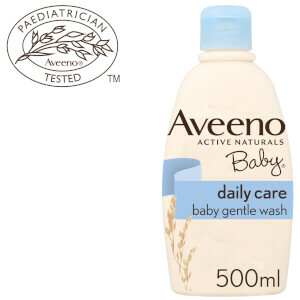 Carefully developed for your little one's delicate skin, the Aveeno Baby Daily Care Hair and Body Wash allows a tear-free bathing experience every time. Enriched with finely milled Oatmeal, the mild formula gently eliminates impurities from the hair and body, whilst soothing and moisturising sensitive skin for long-lasting comfort. Skin feels soft and smooth, and hair is calm and easier to manage. Housed in a pump bottle for mess-free application. 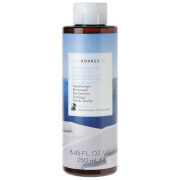 Apply during bath time on to baby’s hair and body and rinse thoroughly. [PR-016557] Aqua, Coco-Glucoside, Cocamidopropyl Betaine, Avena Sativa Kernel Flour, Avena Sativa Kernel Extract, Glycerin, Glyceryl Oleate, Hydrogenated Palm Glycerides Citrate, p-Anisic Acid, Acrylates/C10-30 Alkyl Acrylate Crosspolymer, Sodium Chloride, Citric Acid, Sodium Hydroxide, Tocopherol, Phenoxyethanol, Sodium Benzoate, Parfum. 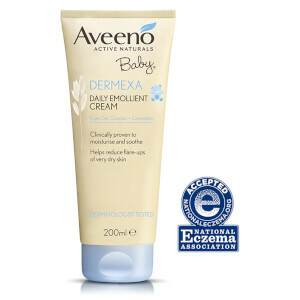 I have really struggled to find a suitable shampoo for my son who has very sensitive eczema prone skin and cradle cap. This has worked wonderfully and leaves him without the itchy scalp other products seem to. Really pleased.